I made a thing and I really wanted to share. Six (???) hours into the dare, spending a lot of effort into graphics. Here’s what I have thus far.. This is how you do graphics. This is how you don’t do graphics. The line-thing Wanda’s swinging from was a black line most of the way through this, which looked okay but was kind of boring. Took the last half-hour or so to make it a cool funky purple wave thing instead. Anyway: ’tis done! The entry page is here. Den of Thieves is jammin’ for the Ludum Dare #30! The game, currently called border patroler, is about protecting the world from the northern alien invaders. You shoot them. You shoot them all. Make sure to pick up powerups such as Homing missles and the Jimmy Hendrix Experience, or you’ll lose for sure! The game currently has 2 enemies and 7 different powerups, but we might still add more. WIP/ final game will be up near the end of the jam. … and let’s not forget nutrition, people! A pear-apple-banana smoothie! In past Ludum Dares I had a tendency to over complicate my projects with wanting graphics and animation that is more detailed than I can realistically achieve in the allotted time. Therefore, I am going super simple this time. In this screen shot there is the player, a collectible, and some walls. There are still some hazards and enemies for me to make, but with this simple style it shouldn’t take long. First, I wanted to congratulate everyone who have participated in this Ludum Dare contest! Great job! 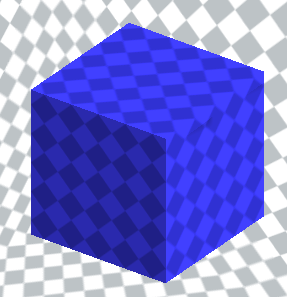 Although I may have stepped out before the contest ended, I figured I’d talk about how I got the graphics on The Sentient Cube. It was surprisingly quick and simple, although it required a lot of tweaking to get it right. 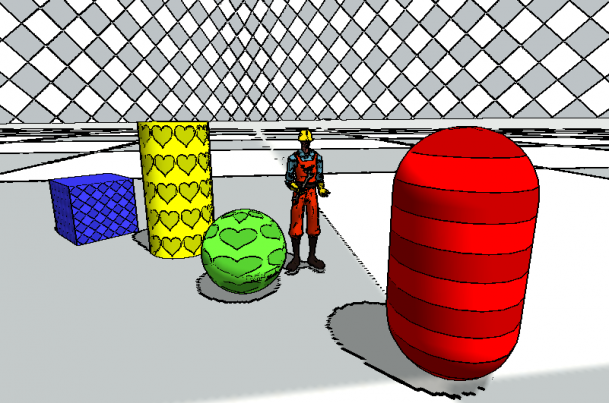 In this step-by-step instructions, I explain how I’ve used Unity’s installed scripts to create a stunning toon shading. Note: this only works with Unity Pro license. In the menu bar, under Assets -> Import Package, you’ll need to import the Image Effects and the Toon Shading. Create a cube, camera, and directional light for the scene you’re working on. 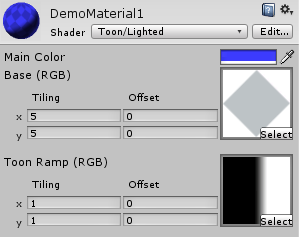 Create a material under the Project pane, with the shader set to “Toon/Lighted,” and the Toon Ramp set to a 1-dimensional image. In this case, I created a custom ramp. 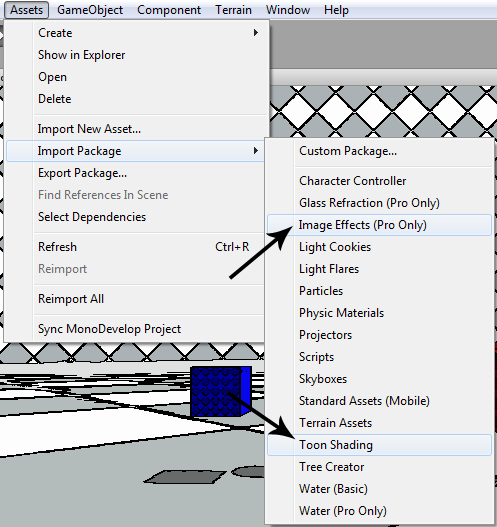 Drag-and-drop the new material from the Project pane to the cube in the Scene pane. 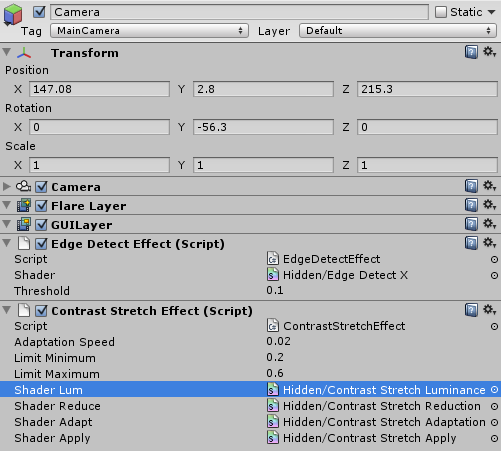 Add the “Edge Detect Effect” and the “Contrast Stretch Effect” components in that order to the camera. The screenshot above was the parameters I’ve used. 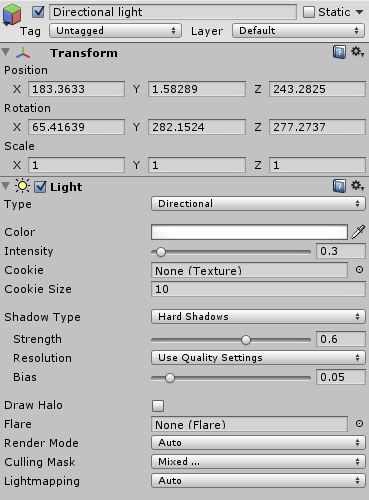 Change the “Shadow Type” under the directional light to “Hard Shadows.” The screenshot above were the parameters I’ve used. Just add a few more elements with their own materials, and Voilà! You can download and import the Unity package I’ve created with the same scene above. Ever Rated Games by the Pale Moonlight? After so much villainy last weekend, I need to redeem myself, by rating games and talking about them here! This time, I decided to highlight the 5 most gorgeous games that I’ve played out of the 40 or so that I have rated so far. These games will make your eyes hungry Go play them! Cake and Code keep their tradition of producing stunningly beautiful game. A lot of care is taken in the design of the visual and auditive elements of their games, and it shows. Vrld’s game consists of three “reverse arcade”: space invaders, pacman and canabalt. He manages to create a consistent and attractive visual identity for the three very different games. I don’t quite agree with his gameplay choices, but there is no denying the graphic quality. Klakwa built a very different “game”. A tornado simulator, you control a tornado and has to destroy the neighborhood. The movement of the tornado, and of the trees and houses as you get stronger and stronger, is really awe-inspiring. Tyranoforce, by blob, is a reverse shoot them up. The game lacks a lot of “quality-of-life” things, such as music and resetting. But the spritework is phenomenal! It is retro, while having its own personality. And the dinosaur in the controls is awesome. Strkl made, literally, a work of art. Some gameplay was sacrificed to deliver a very touching story, using this wonderful artwork. Although I love the ludus, I think this approach worked very well here. The faces of the sprites are very expressive, and tell the entire story without the need of text. Thanks for reading! If you liked these reviews, make sure to read my previous one. Also, feel free to plug your games in the comments! 24 queries executed in 0.131 seconds.